Find out more how you can grow your broking business and maximise your profits with Connective, Australia's leading mortgage aggregator. 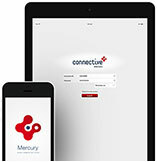 Find out more about Mercury, our award winning software that is custom built for brokers and helps to oversee every aspect of your business. product and interest rate changes, articles and videos. Interested in a career of broking? Broker Profile Josh Ugo, Finicky Finance. Deposit Assure has joined our panel! Spend less time searching for Bankwest’s LVR limits and check out their updated LVR limits. Whether you're ready to be a Connective member, or have some questions about any aspect of our services, you can contact us directly on 1300 65 66 37 or simply use the form below and one of our friendly staff will be in touch soon. Congratulations to our 2019 BBA Winners! Referral Partners – are you doing it right? 2016 © Connective. All rights reserved.